As a lifelong athlete, having competed in soccer for 15 years, shotput and discus, lacrosse, softball and working as a lifeguard, Olivia is well adapted to the importance of sport specific exercises. She builds up her clients through functional movement patterns and foundational exercises incorporating her training with kettlebells and Animal Flow techniques. Also, due to chronic injuries, Olivia understands the struggles of overcoming obstacles in life and in the weight room. 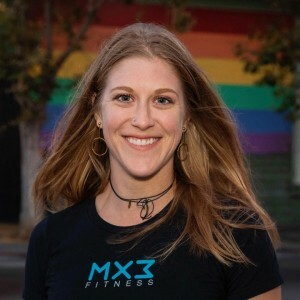 As a student of Sport Psychology she is well-rounded in connecting the physical with the mental, truly embracing the philosophy of where Mind Meets Muscle. One-on-one personal training with Olivia. Olivia trains out of our Castro location.